Interior Design Ideas . . . Interior Design Ideas usually start with a lifestyle theme! Many times the area of the country you live in dictates the theme of your home. You generally don't see southwest, or southwestern decor in the northern states. Michigan just doesn't have an abundance of the southwestern theme or style. A clay roof tile just doesn't work well in the cold. On the other hand, a Victorian Style home just doesn't look the same with a stucco siding. Enough said about the obvious. Your home style says a lot about who you are, and about your interests and passions. Not so much the architectural style, as the themes or decor that you choose for the interior of your home, and the yard and gardens. Some people love the ocean, and choose a Nautical theme, or maybe a South Pacific Island theme. Western . . . Rustic Western Furniture, Cowboy, or Country Home Decor are also popular design ideas. Perhaps your passion is tied to a favorite vacation spot, and a theme that surrounds you with the romance of another country such as Italy for example. Maybe south of the border, and more of a laid back lifestyle, you know, a siesta every afternoon! Themes for your home or special room can be as varied as the many passions that exist. Do you love to golf, or farm, or is nature what makes you tick? How about a coffee, horse, poodle, jungle, music, or sports theme, or a butterfly or dragonfly theme. Do you want a theme for the whole house, or do you want to decorate each room thematically? Keep in mind that a little goes a long way for some interior design ideas. A splash of color, or a subtle statement with wall art may be all you want for some rooms. Sometimes "simple" says a lot. Have you ever been in a room or house that was just too "busy" for your taste? It's kind of like your clothing. The things you wear, and how you wear them say so much about your personality. The same is true for your home. Whatever it is that's "you", consider decorating your surroundings with the furnishings that make you comfortable and relaxed, ready to take on another day. The Home Decorators Collection is an Idea Bank for great interior design ideas as well as yard and garden decor. 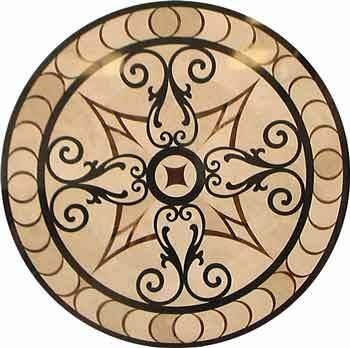 For ongoing information on Water Jet Cutting and home decor tips, Subscribe to our Newsletter, "A Cut Above the Rest!" Click Here! to Subscribe, top left.